This summer has been kind to me and offered many opportunities to travel. While it was nice to be home after the long trip in July, I took one last jaunt out of the city in August. 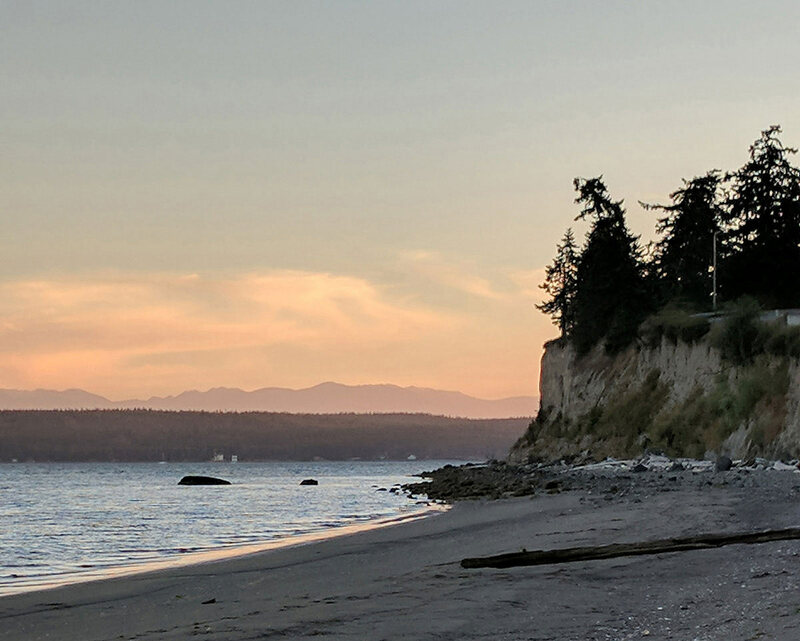 It was a great way to savor some of the last days of summer before Seattle’s all-too-short summer came to an end and classes for my master degree started back up again. A friend and I took a quick trip to Whidbey Islands to visit friend. 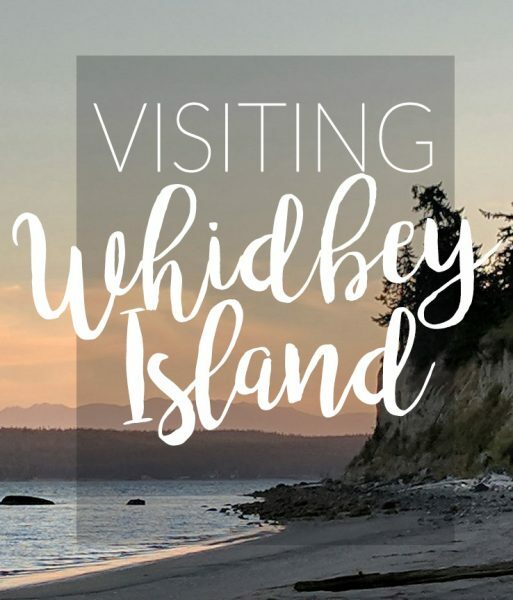 While not technically part of the San Juan Islands, or as tourism-focused as the San Juan’s, Whidbey feels like an escape to a small town with a pace and appearance that reminds me more of home back in Missouri than either Seattle or the San Juan Islands. 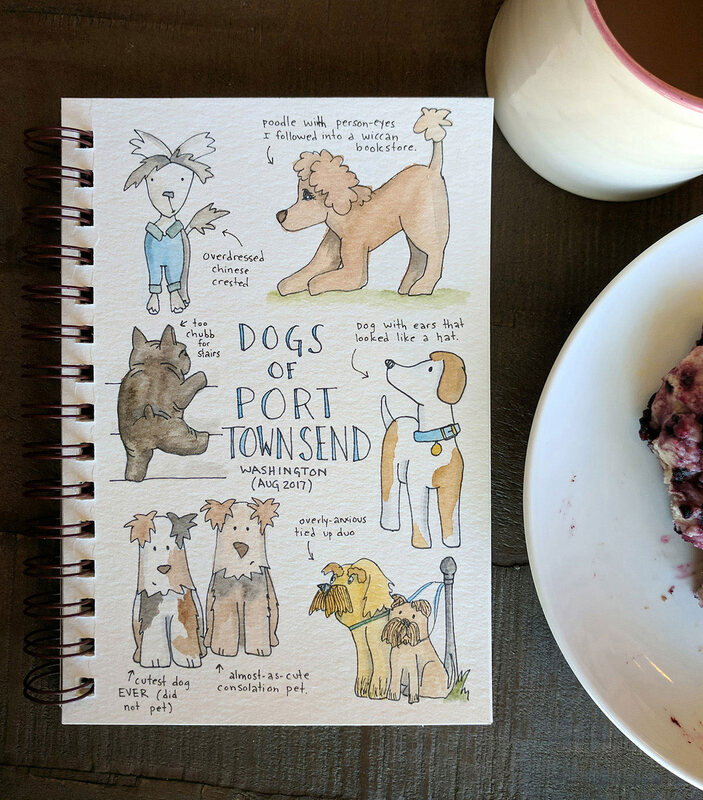 My 3 day trip this fall wasn’t as crammed with activities as previous trips to Whidbey, but I did a fair amount of travel art journalling during the trip that I wanted to share. 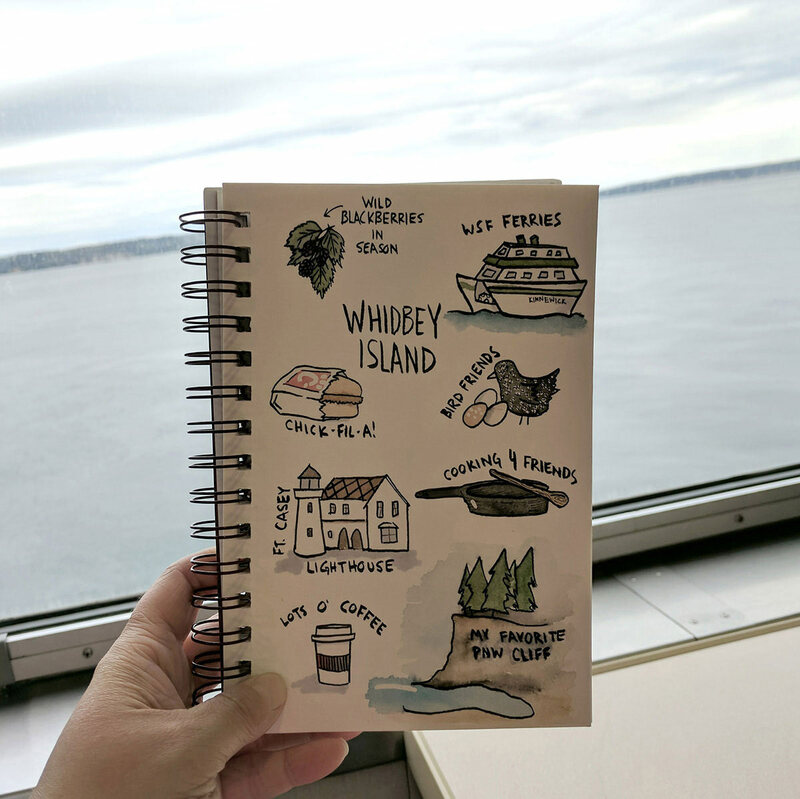 On Friday we hopped the Coupeville to Port Townsend ferry and actually left Whidbey for a bit. Port Townsend is a town on the Kitsap Peninsula (across the Puget Sound from Seattle) that feels worlds away from the PNW. Unlike the islands, which have a distinct island flare, or Seattle, which is unrelentingly hipster with often ultra-modern architecture, Port Townsend’s downtown is straight out of the old west- with ornate storefronts and an almost-European vibe to some of the buildings. The city was adorable, but the city’s dogs had me undone. 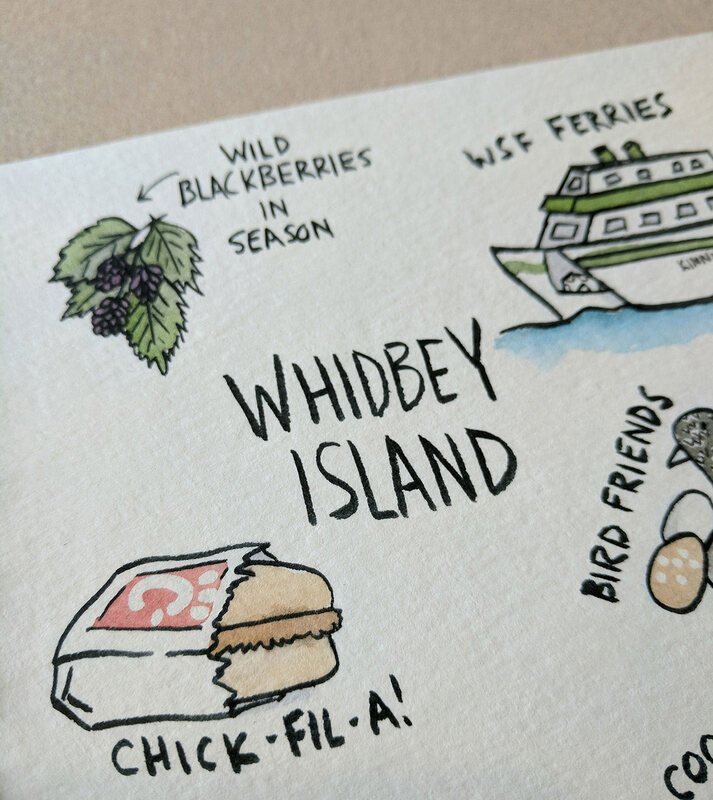 Touring Whidbey at a slower pace was great because I had a chance to doodle more- even some during the 20-30 minute ferry ride. 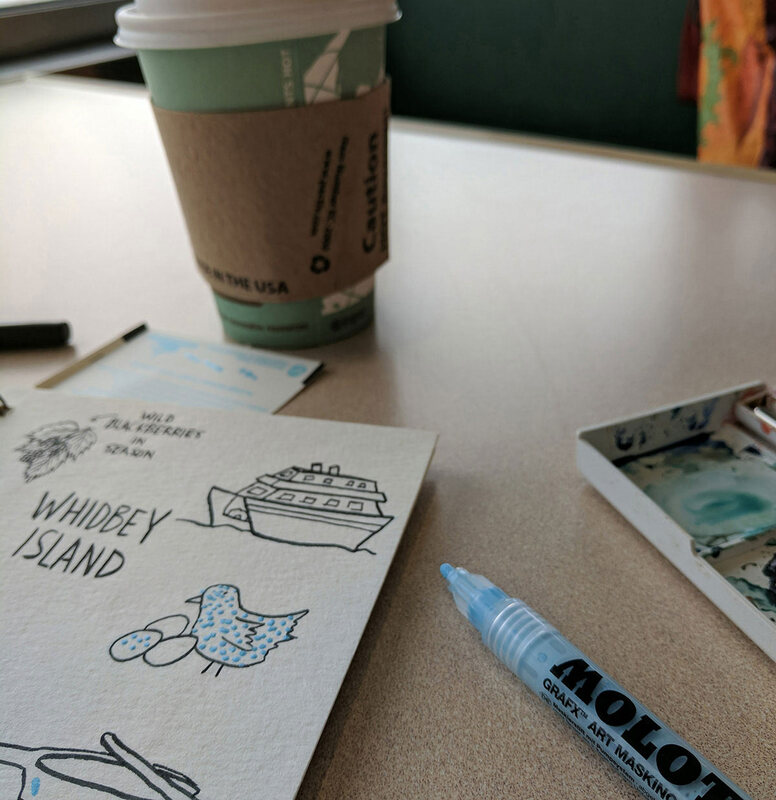 I’d just gotten my Molotow Masking Pen so had to find ways to use it for this page… ON a ferry, no less! Whidbey doesn’t have a Chick-Fil-A, but grabbing some chicken as we head north from Seattle is always a part of this trip. On the way back to Seattle from Whidbey, on the advice of our host, we detoured to Mt Vernon, WA to visit Christianson’s Nursery. As both a plant lover and amateur photographer, it did not disappoint. My travel companion found herself a new plant-companion while I focused on scouting for good photo locals and squealing with delight each time I rounded a corner and discovered a pet dove in an ornate cage nestled among the flowers. 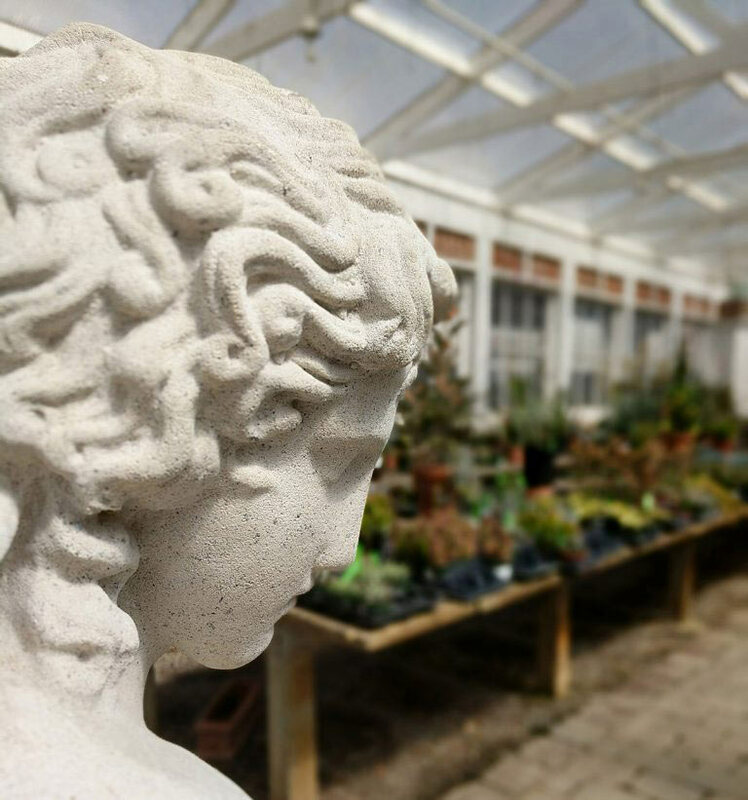 Christianson’s Nursery in Mt Vernon WA was an excellent stop for shopping and just exploring the grounds. 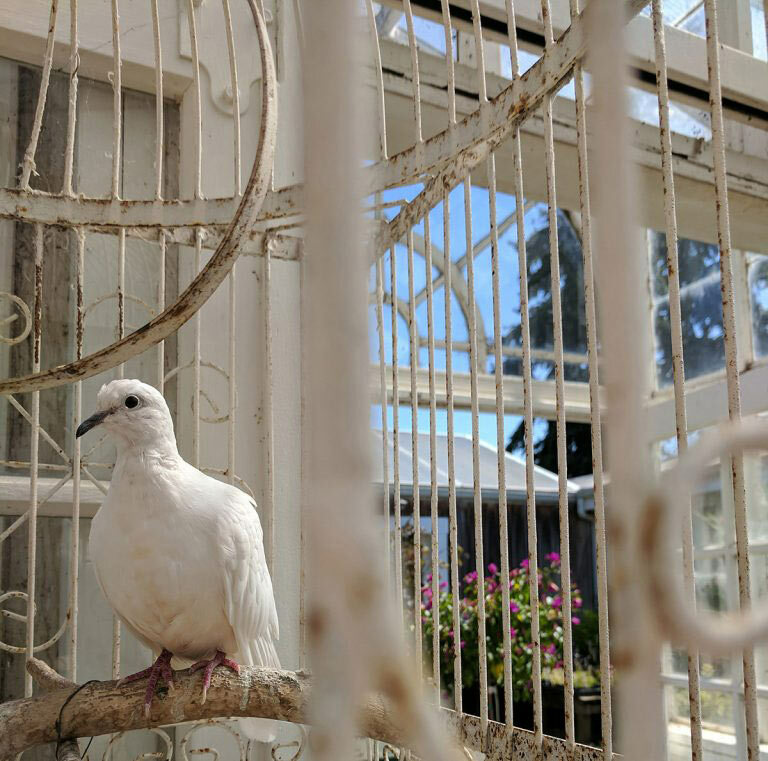 Doves in large vintage cages tucked into the greenhouses and conservatories were an unexpected delight. 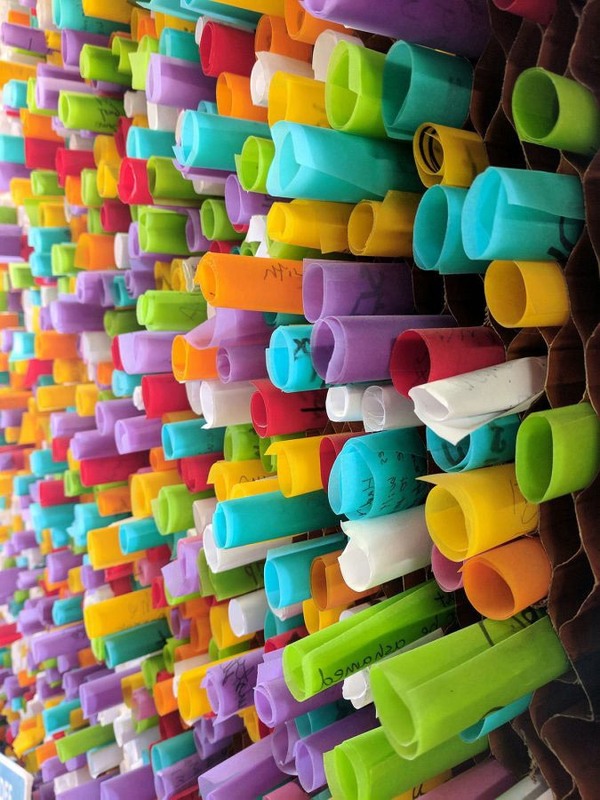 Colored paper rolled and inserted into hexagonal paper create an interactive mosaic.